Mattel: First pictures of the 2019 line-up leaked! Hey folks! If you thought 2018 was already hurting your wallet too much, well, 2019 is shaping up to be no different. As you can see below, the first pictures from Mattel's line-up for next year have been revealed on 4chan, and what can be seen is rather...interesting. 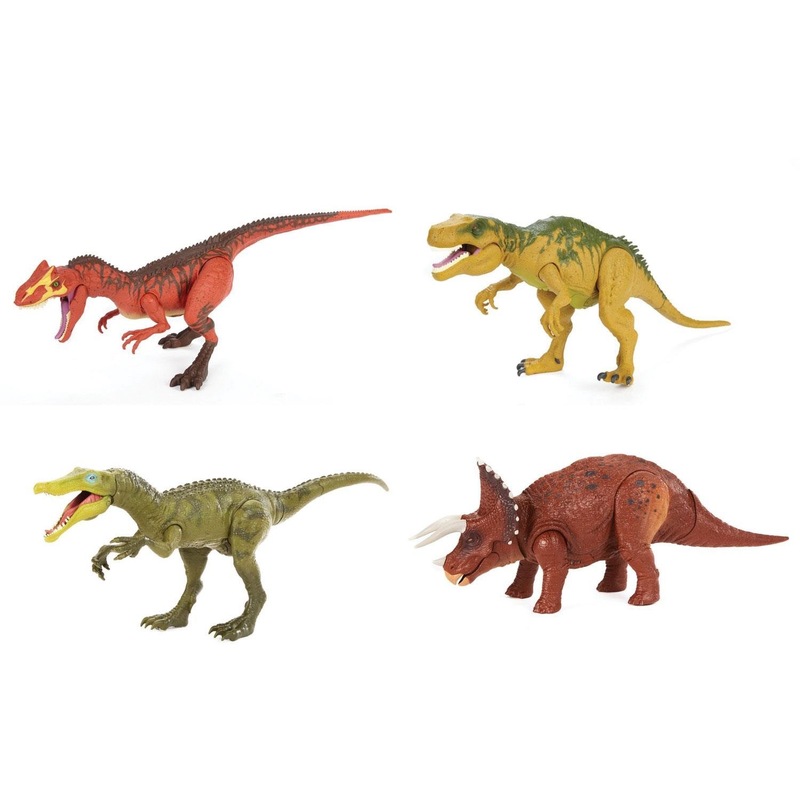 We can see several items from a new "Savage Strike" line, including a Dimetrodon (from the 2018 Destructasaurs line, which is still unreleased to this day), brand new Tapejara and Styracosaurus (a species long overdue) figures, as well as repacks and retools from the 2018 line. 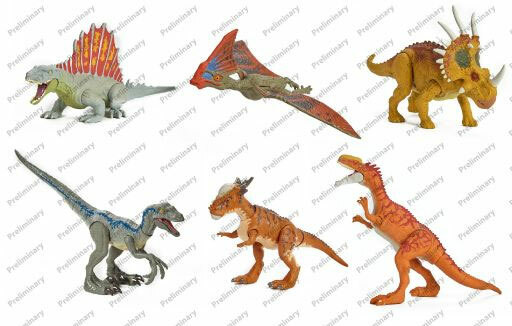 Also revealed were two figures from a "Dual Action" line: a Stegosaurus repaint/retool with rather funky colors, and what appears to be a Therizinosaurus with a great body, and a totally inaccurate head sculpt (unless it's a Therizi/Raptor hybrid, of course). 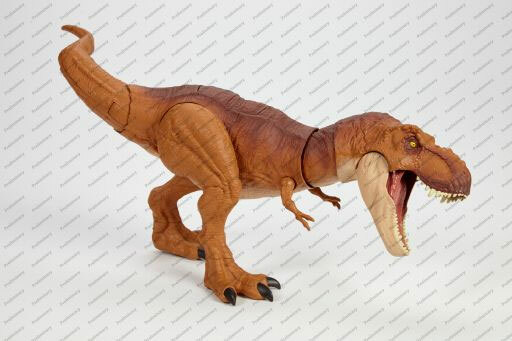 And finally, a new big T-Rex was shown, with what appears to be a thrashing tail action feature. Hope you still have some space after the four (six if you count the Battle Damage versions) big Rexes released this year! So, there you have it for now! Of course, these are preliminary versions of what we'll see next year (to give you an idea of how different released items can be, take a look at these Roarivores early prototypes from this year's line), so expect some changes! We will of course keep you updated as more is revealed, so stay tuned!